← Street Team? Why Not?! Cover Teaser and a Crush Tourney! Oh! Want to see the whole thing? You will – on Tuesday! You may have seen a couple of other versions of this around the blogosphere today. 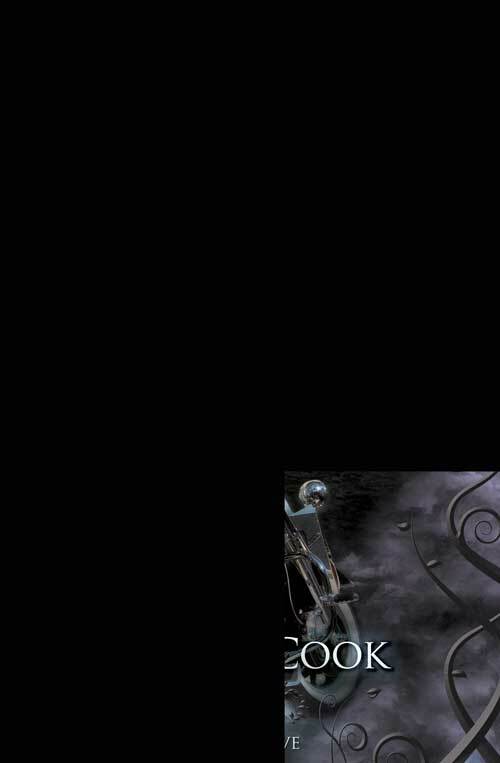 We have a blast going on because besides the cover reveal, we have other big news for Tuesday. TRISTAN’S IN THE FIRST-EVER NA CRUSH TOURNEY!!!! Structured like the NCAA basketball championships, the NA Crush Tourney is a tournament of book heroes pitted against each other in matches. The hero who gets the most votes moves on to the next round (and the other guy is done), and this continues until there is only one hero left – the NA Crush Tourney Champion. So pick your favorite hero (the bracket is here, but of course yours is Tristan, right? ), get behind him and bring in the votes! Haven’t read the series? 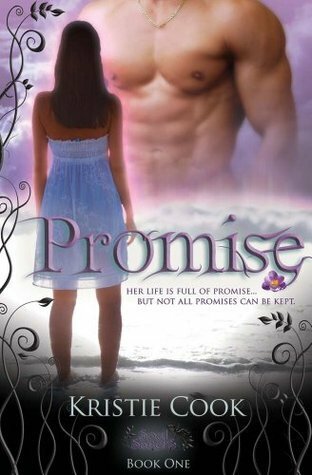 How about a FREE eBook copy of Promise? It’s FREE on ALL platforms! Yes it is! Here’s links where you can get YOUR FREE COPY TODAY! Okay, Lisa at A Life Bound By Books is still looking for HELP with the #NACrushTourney for none other than Tristan Knight himself! 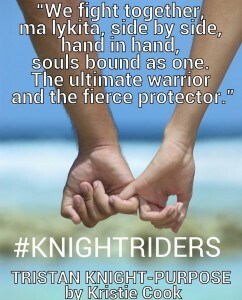 She’s created a Street Team called #KnightRiders and would LOVE to have YOU help Tristan make his way to VICTORY!! The first round is coming up quick. Here’s all the info you need to know so far. Oh and EVERYONE who helps with the Tourney by joining the Street Team and doing tasks will be ENTERED TO WIN PRIZES!!! YES! PRIZES!!! More from Lisa about that later. Now… Lisa can’t do this on her own, so this is where you guys come in. Looking to sign up for #KnightRiders Street Team – Here’s the quick form to fill out. Every thing will happen in a few emails so not to worry about having your inbox bogging down. Also, all info, emails, etc will be deleted at the end of the tournament. Grab the button below, add it to blogs, Facebook, change your twitter pic, etc! Put it up everywhere you can!! Synopsis: New Adult Paranormal Romance ** Mature Content ** Recommended for ages 16+ due to sexual situations and language. Alexis Ames has a life full of promise…but not all promises can be kept. When Alexis Ames is attacked by creatures that can’t be real, she decides it’s time she learns who she really is, with or without the help of her mother, who guards their family’s secrets closely. After meeting the inhumanly attractive, multi-talented Tristan Knight, however, Alexis retreats behind her façade of normalcy…until she discovers he’s not exactly normal either. Then their secrets begin to unravel. Their union brings hope and promise to her family’s secret society, the Angels’ army, and to the future of mankind. But it also incites a dangerous pursuit by the enemy – Satan’s minions and Tristan’s creators. After all, Alexis and Tristan are a match made in Heaven and in Hell. 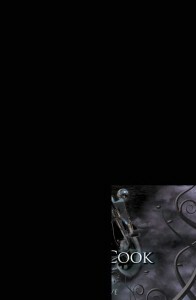 1st Place – 2010 Royal Palm Literary Award – Fantasy (Published) by Florida Writers Association. Keep an eye out on A Life Bound By Books on all platforms for more info coming soon including – News, Giveaways and other Exciting things for the tourney!